On June 9, 2016, Eskolta founder and executive director Michael Rothman celebrated the organization’s sixth annual transfer school conference. 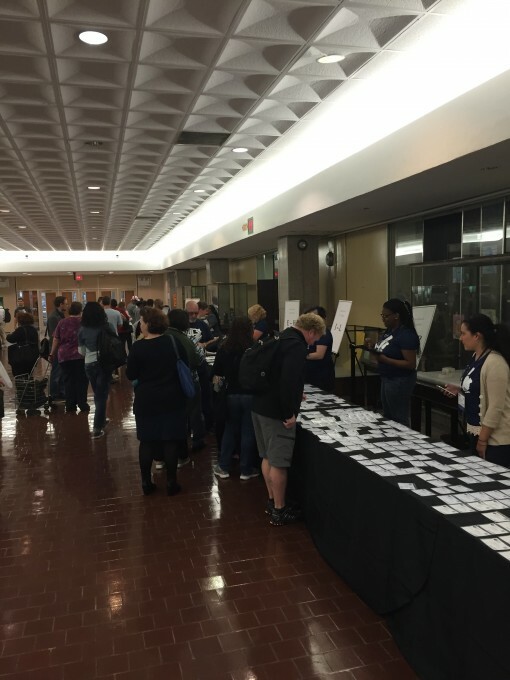 Successfully organized and funded in partnership with the New York City Department of Education’s Office of Postsecondary Readiness, this year’s conference was the largest transfer school gathering to date. 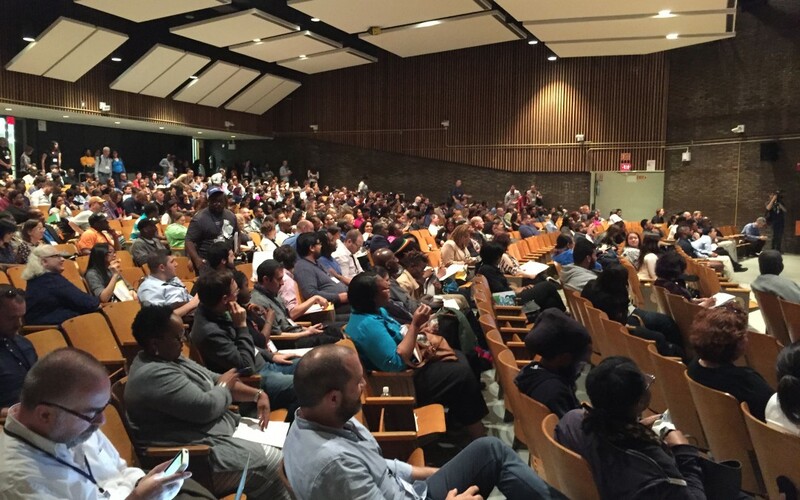 Almost 1,000 educators and support staff representing more than 38 of the City’s 50 transfer schools and partner agencies gathered at the Brandeis High School campus on West Eighty-Fourth Street to take part in more than 75 workshops and panels designed to speak directly to the needs and interests of the transfer school community. Throughout the history of the conference, participants have been exposed to a variety of powerful and influential keynote speakers. Each year, keynote speakers such as Jonathan Kozol, Jeff Duncan-Andrade, Michelle Fine, and Pedro Noguera have challenged and excited participants by connecting outside research on educational policy, pedagogy, and social justice. This year’s conference continued in that tradition in welcoming the 2016 keynote speaker Dr. Monique Morris. Dr. Morris is an author and scholar with more than 20 years of experience in the areas of education, civil rights, and juvenile and social justice. Dr. Morris is the author of Black Stats: African Americans by the Numbers in the Twenty-First Century (The New Press, 2014) and Too Beautiful for Words (MWM Books, 2012). Her newest book, Pushout: The Criminalization of Black Girls in Schools (The New Press, 2016), explores a world of lost potential and supports the growing movement to address the policies, practices, and cultural illiteracy that push countless students out of school and into unhealthy, unstable, and often unsafe futures. In addition to the keynote, the day included opening remarks by Superintendent Paul Rotondo, a former transfer school principal and a lifelong educator committed to serving overage and under-credited students in New York City.